The awards were based on surveys of nearly 15,000 cruise passengers who were asked to cast their votes in a number of cruise-related categories. Heald’s Cruise International Award follows his “Best Travel Blog” recognition at the TravelMole Web Awards, as well as being named Best Cruise Line Blog in Porthole Cruise Magazine’s 2011 Editor-in-Chief Awards. 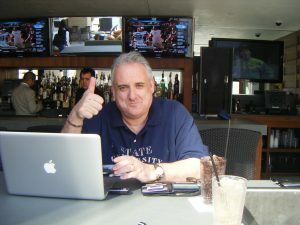 Filled with humorous and often poignant stories of his life at sea, Heald’s blog (www.johnhealdsblog.com) has attracted nearly 12 million visitors since debuting in March 2007, making it one of the most popular travel-related blogs on the Internet. The popularity of the blog spawned the “John Heald’s Bloggers Cruise,” the first of which was held aboard the Carnival Freedom in January 2008 and provides readers with an opportunity to participate in a variety of fun activities and interact with Heald on a daily basis. The fifth incarnation of the cruise will take place aboard the Carnival Magic from Galveston, Texas, in March 2012.